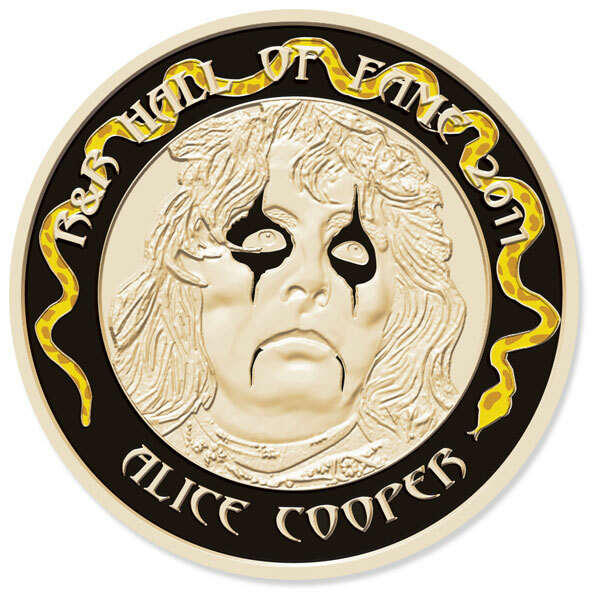 These recently released Limited Edition Fan Medallions feature an image of Alice (makeup and all! ), framed by his signature Boa on the front, and a color Solid Rock logo on the back. Each large (1-9/16”) Antique Bronze Medallion is struck to the same exacting standards used to produce Military “Challenge” Medallions. In addition, each Medallion is color epoxy filled and stamped with a unique “Public Animal” serial number which will be registered directly to you as the purchaser. 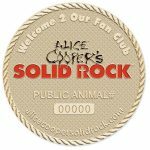 For Fans of Alice wishing to directly support his Solid Rock Teen Center, the purchase of these quality Medallion coins is a “KILLER” way to participate! 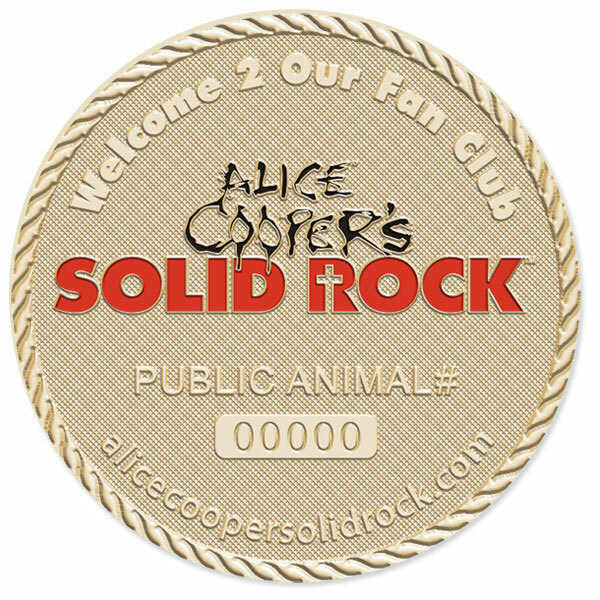 Watch for additional Solid Rock Medallions coming soon! Each medallion is a limited edition production which is sure to become a collector’s item. If you’ve received your medallion, you can register it here.